It’s a new month for meals! I love pulling out my pen, paper and calendar and making up a meal plan. The challenge of balancing what my family loves to eat and staying on track with my frugal grocery budget excites me. I hope I’m not the only one. Ahem! But before I can plan the menu, I need to know what’s going on in our house and on our calendar. It doesn’t make any sense to plan a long involved meal on a night we won’t be home! That’s one of the initial steps in making a meal plan that works. Because if you don’t start somewhere that makes sense, it’s hard to stick to a meal plan. 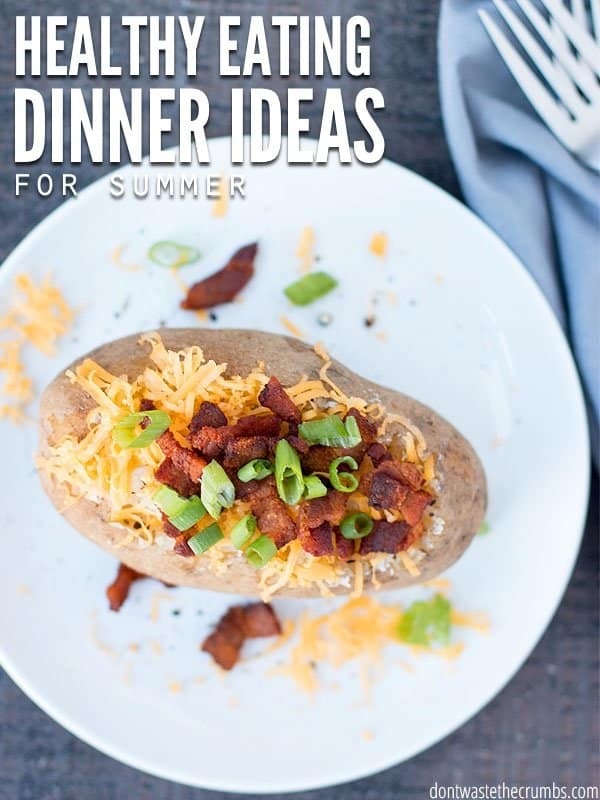 With all of that in mind, I bring you healthy eating dinner ideas for July. Remember to change it up if you have special plans for the Fourth, vacation, or family visits! This menu is designed to feed a family of four and keep the grocery budget at about $350. Prices will vary depending on location and family adaptations. Some of the dishes and sides are make once, eat twice type meals. Be sure to consider that if you change the meal plan in any way. 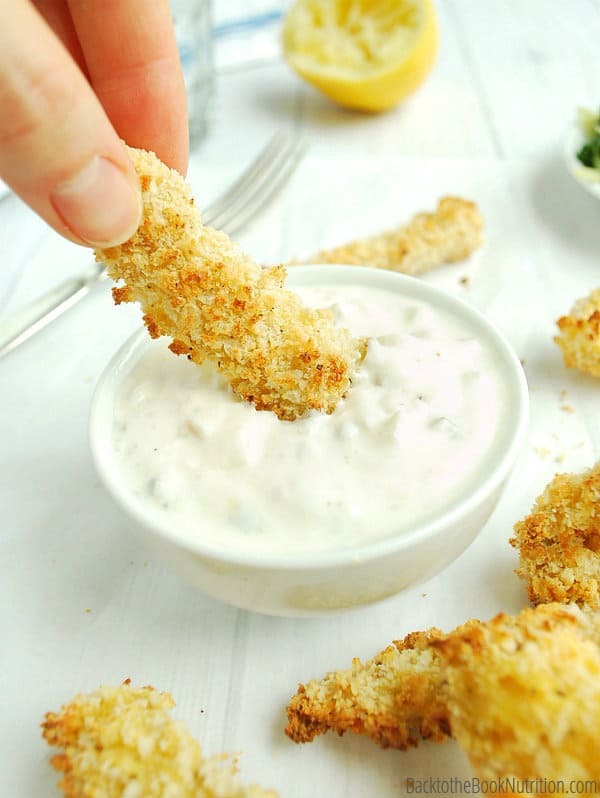 We’re trying a new recipe each week and everything sounds SO good! What an awesome way to eat ourselves through summer! 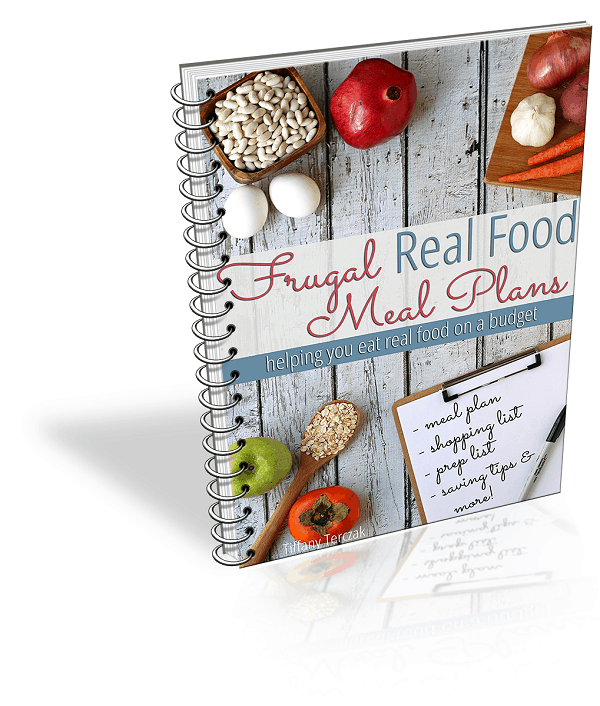 For more real food meal plans on a budget – check out the meal plan archives. What are your healthy eating dinner ideas? I’m so glad you’re still working at the electricity challenge! We slacked off this month and I wasn’t too happy when the bill came in. 🙁 Time for that re-set button! Honestly Heather, planning for a whole month saves me not only money, but sanity too. I literally don’t worry about food for four weeks and buy all the “big” items at the first of the month. Then all I have to remember is fresh fruits & veggies for the week. I spend less time planning (overall), less time in the stores, and less time stressing over whether or not I forgot something. It’s an amazing system! Oh, I love potlucks! And happy early birthday to the little one! Her favorites menu is so varied…they’re so funny at that age, but it looks like it actually hits most of the food groups! Thanks! It was so cute hearing her answer and I wouldn’t have guessed macaroni since we really don’t have it often. And carrots?! Can’t complain there! I’m stopping by from Menu Plan Monday today! Sounds like a fun and full week. Thanks to Pinterest and MPM, I’m able to keep inspired when it comes to cooking and baking! Hi Tiffany, It sure is tricky planning cost efficient and tasty meals for a whole week. 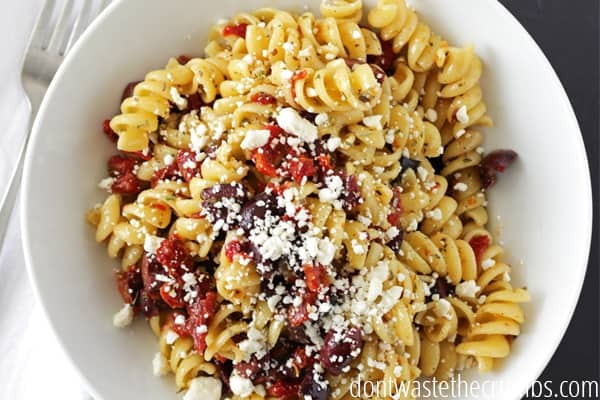 I like your salad and pasta recipes. Do visit my blog for a delicious giveaway by Tasty Bite Eatables! !